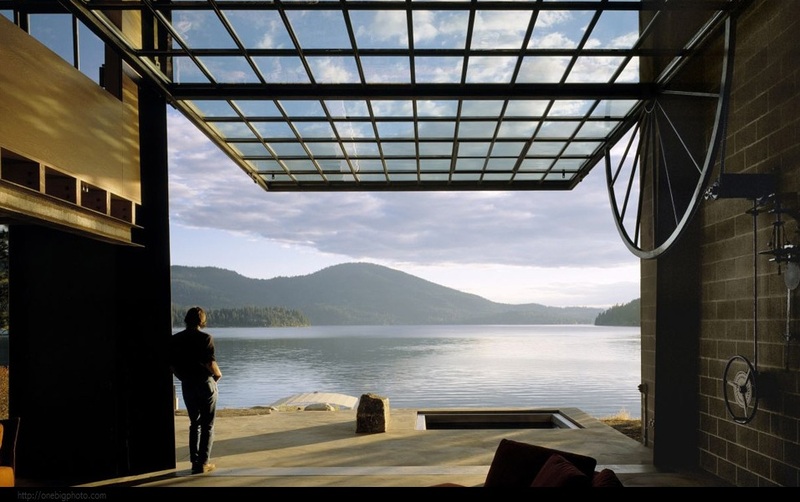 I am obsessed with using a glass garage door in a residential application. 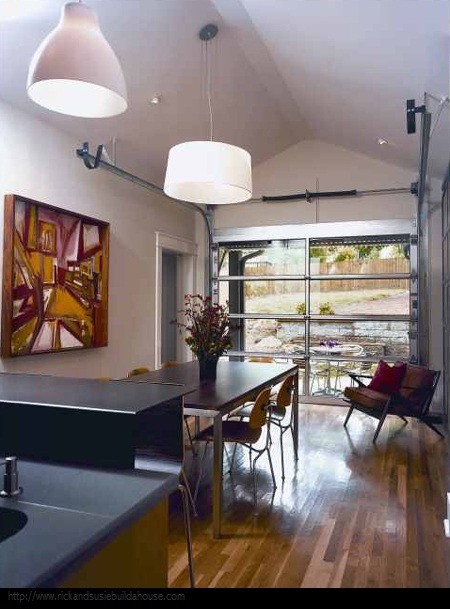 Would you if you could use a glass garage door in your home? I love this idea. My dream home would be to have these doors all the way across a 2nd story house. I would have them recessed behind a roofed deck so I could cook, eat and sleep with them open. Think of living in a rain storm. Birds up close. Permanent panoramic view, too! I absolutely would if I could! Not here in Alabama though…at least not opened! Can you imagine the bugs? They are certainly stunning and I love every one of these pictures you showed with them! Now my wheels will be turning, though! I love the last image and in San Diego it would have worked; no bugs! Great post! 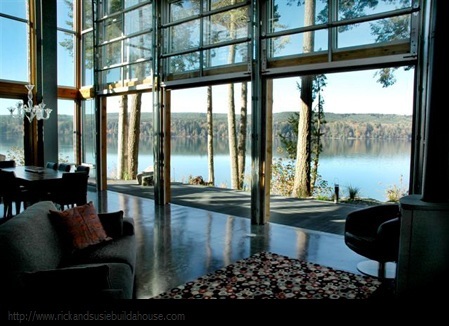 I love the first image with the shimmering watery floors echoing the lake. I feel like I'm in a floating pavilion. Alas, I would have birds, squirrels, raccoons, chipmunks ~~~~~:) snakes, and bats. We had an hysterical time trying to chase a humming bird out one evening! But I love it, and you can always close them if the ducks start waddling in for a french fry. those images look fantastic! wow, outdoors in. great. 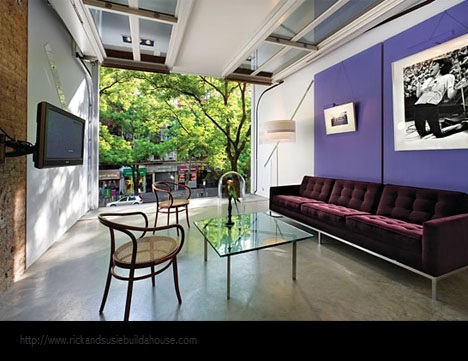 my condo has sliding glass doors at the end of the living room, which, when open gives a similar look, feel. open feel. digging your post. thanks. I love these images! And I would love to have something like this on a house but I HATE bugs and lizzards and creatures. So I do not think this is for me! I hope you are well. How is the sale of the house? I am sure that things will progress as they should, as you said you must take time to take it all in. Many changes are afoot and this takes time. I love glass garage doors. The bugs here in VA are atrocious and keep us from enjoying the deck and pool in the evening, so none for me, but if I had a spectacular view to see in an upper elevation YES YES YES. I hope everything is moving along to your liking friend. Thinking of you.. I want it in my Garage, so I can paint out there this winter. I have that window in the garage but this would be fantastic. This was a great POST Renee.